Ever heard of Mohs surgery, also known as chemosurgery? 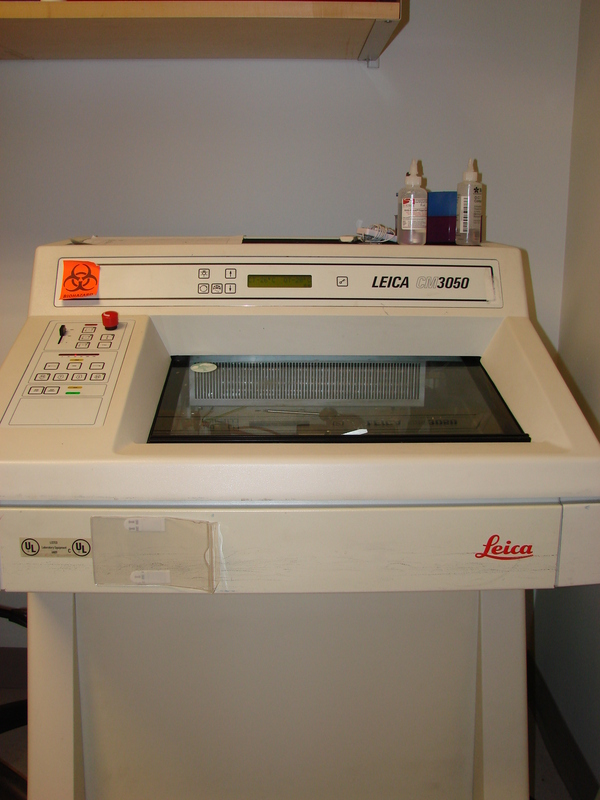 The cryostat is used in conjunction with surgery where the surgeon removes skin cancer and has it processed in real time by the technician sitting at the cryostat. All tissue pieces are frozen, cut, stained and then read by a pathologist while the surgeon and patient wait for the results. The tissue is cut and analyzed in as few as 10-15 minutes. If the outside edges of the cut tissues contain cancer cells, then the surgeon must take deeper sections and the process is repeated. If there are no cancer cells then the work is done. 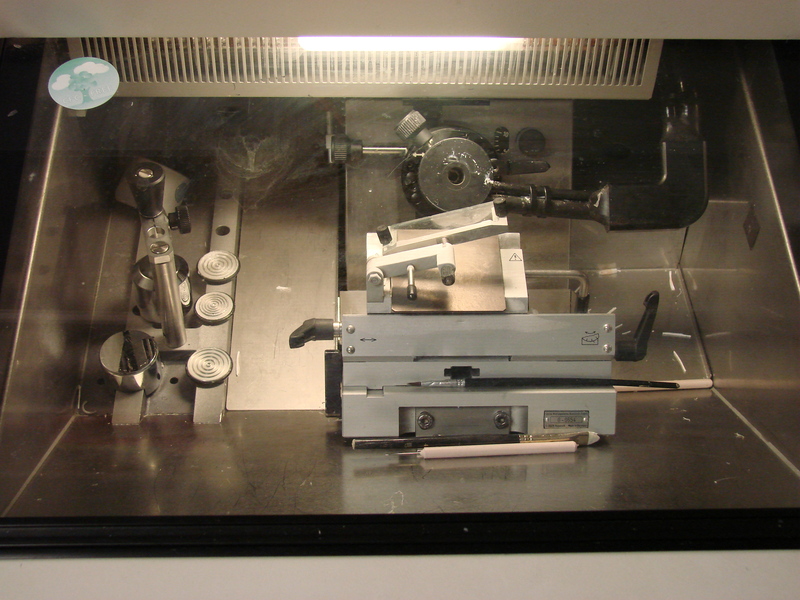 Is cutting on the cryostat a major pain in your hands? I know it can be. The cryogenic part of histology is not something that everyone enjoys. The fact that the tissue is not fixed or is still live and therefore contagious, can be a major concern for anyone having to cut the tissue. It is not always the case, some tissues are fixed and then infused with 30% sucrose for easier sectioning. This is not usually the biggest concern surrounding cryostat work. When I think about the requirements necessary to cut tissue under very cold temperatures, it makes the hair on my arm raise in tense anticipation. Truthfully I’m sure why I get this sensation. I enjoy cutting most tissue on the cryostat and view it as a challenge to create perfect sections. Maybe it’s more the anatomical positions that one must contort, in order to cut on this type of machine. Or maybe it’s the extreme temperatures of -10 to -50 celsius, that get under my skin. For those of you who may not know what this entails and or feels like, here is a short video. If you have trouble cutting and need to know what temperature your tissue needs to be cut at, the link below may help. We consider ourselves experts in this area because we have cut so many kinds of tissues so many different ways, so if you need excellent cryostat services we are here for you.